A high credit score can provide several benefits. You will be able to get approved for a credit card or for a loan faster. Lenders will also be willing to provide a greater amount of finance. But the biggest advantage of a credit score that is in the 700+ range is that you will be offered a lower rate of interest, resulting in savings over the loan term. Your credit score is based on the information in your credit reports prepared by the three credit bureaus – TransUnion, Equifax, and Experian. It reflects your credit health and is determined on the basis of the information fed by the three bureaus to the Fair Isaac Company, which then issues your FICO score. A low score can prove to be a handicap in many ways. Fortunately, there are ways to improve your credit health and boost your score using your credit card. Here are some of the steps that you can take. Many people think that it is perfectly ok to use a credit card up to its maximum limit as long as they are paying their dues on time. While this is perfectly logical, it is not the way credit scoring works. If you max out your card, it gives the impression that you are in dire need of cash. Consequently, your credit score is negatively affected. What is the way out? One simple solution is to use your card only up to 30% of its limit. If it is not possible for you to do this, try and get your credit limit increased by the credit card issuer. If you have a good repayment record and have held the card for an extended period of time, it is likely that the card company will agree to your request. Be prepared to furnish additional personal information and income details. If you usually pay on time, but have delayed one or two payments, it is not the end of the world. You have every right to approach the card company and request them to delete the details of the payment made after the due date. You will have to make a little effort and compose a letter describing the reason that prevented you from making a timely payment. 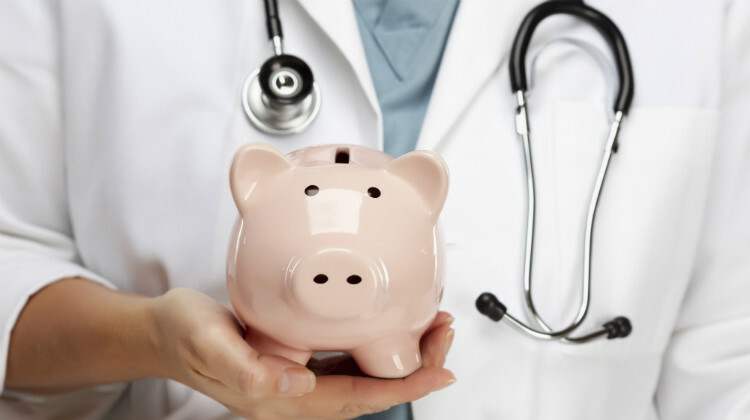 Your financial position may have been strained because you or a family member had a medical emergency. It could also be possible that you lost your job and several months elapsed before you found new employment. Whatever the reason, you will be required to furnish comprehensive details in the letter to the credit card company. It is also crucial to point out that you have been a customer of the card company for many years. The longer your association with them, the greater is the chance of your request being approved. If you present your case well, there is a strong possibility of getting the late payment record removed. It is well worth your time to make this effort because if you have made a delayed payment, the three credit bureaus would have been informed by the lender. The record that the bureaus make about your late payment on your credit report would remain there for seven years. Whenever you get a new card, your credit score is negatively impacted. If you have a long credit history and a record of on-time payments, the effect on your credit score may not be much. But if you add several cards at once, it will result in your score getting reduced by more than that. Ideally, do not add more than one credit card every six months. If you follow this rule, your credit health will not be affected. When acquiring an additional card, there is another mistake that many people make. They cancel an older card and replace it with a new one without realizing that in the process they are dragging their credit score down. To understand why this happens, you need to know that when calculating your credit score, the length of your credit history plays a critical role. By canceling an older card, you are reducing the length of your credit history and consequently, your credit score. There is another reason why you should not get rid of an older card. When you cancel a card, its limit is automatically reduced from the maximum amount that you can have outstanding at any point of time on all your cards. As a result of this, your credit utilization suddenly increases, negatively impacting your credit score. Rather than canceling an old card that you do not use, keep it alive. Use it every few months so that it remains active in the card issuer’s records. If you do this, you will get a dual benefit. The length of your credit history will be maintained and your debt-to-available-credit-ratio will stay low. Don’t assume that your credit reports are error-free. Mistakes tend to creep in and if they remain undetected, they will become part of your permanent record. It is also important to check each of the three credit reports. While the data in the records of TransUnion, Experian, and Equifax is usually similar, it need not be exactly the same as they could be using different sources of information. If you do spot what looks like an error, do not hesitate to take it up with the credit bureaus. You can obtain complete details about the procedure for getting errors rectified on myFICO. A clerical error could result in another person’s details being recorded in your credit report. A loan applicant gave a lender an inaccurate Social Security Number or the Social Security Number was misread by the lender. A payment made by you was inadvertently applied to the wrong account. Did you know that 35% of your credit score is based on making payments on time? Without satisfying this basic requirement, it is not possible to have a high credit score. If your record contains instances of delays, it is possible to improve it by consistently paying future dues on time. The longer you pay on time after being late, the more your FICO score will improve. In the event that your credit card dues mount and become unmanageable, the worst thing that you can do is to ignore your monthly bills. Work out a repayment plan that includes at least the minimum payment on each of your cards. If your outstanding balance on a particular card is high, consider the various balance transfer plans on offer. These give you an initial interest-free period during which you can pay off the entire balance that you have transferred. You may have to incur a balance-transfer fee to be eligible to use this facility. But remember to pay off the entire amount within the interest-free time period. If you do not, you will become liable to pay interest once again. The annual percentage rate (APR) that your credit card issuer charges should not be of concern if you pay your card bill in full every month. But if you follow the practice of carrying a balance on your card, a high APR can prove to be a great expense. Credit cards charge interest on the daily balance that you carry. If you have an outstanding amount, do not wait till you receive your monthly statement before making a payment. It makes more sense to pay as soon as you have the money available to you. Remember that your credit card company is charging you an APR that could range from 12% to 18% or even more. Instead of leaving money idle in your checking account, use it to reduce your credit card outstanding. It is also a good idea to confirm the interest rates on each of your credit cards. Once you have this information, you can follow a practice of paying off the balance on the card that has the highest APR. Of course, you should remember to pay at least the minimum amount due in each of your cards. Some people make the mistake of trying to get the outstanding balance on the card with the highest interest to zero while ignoring the bills of their remaining credit cards. Doing something like this will only attract late fees and penalties and leave your finances in a mess. Improving your credit health and your credit score is not a one-time exercise. You need to constantly keep your financial commitments in mind. Above all, remember that it takes patience and discipline to build a strong credit history. Once you achieve a high credit score, follow the practices that will enable you to maintain it at that level.